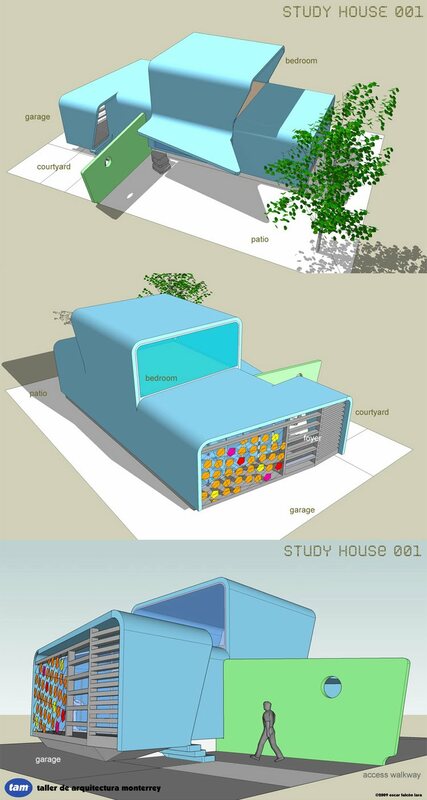 The first design in the series, a house for three persons with open courtyard, a covered foyer/terrace, two bedrooms, two bathrooms and ample views. Based on the principle of DIY, the structure proposed is snap lock steel beams, columns and guides; exterior finish is modular and insulating with flexibility in interior floor plan as open or divided. taller de arquitectura monterrey is a firm dedicated to the pursuit of bold and new architecture, sustainable design, home technology and research. Being future oriented, the principles we use for design and practice help insure the best possible outcome for clients and the projects we undertake. 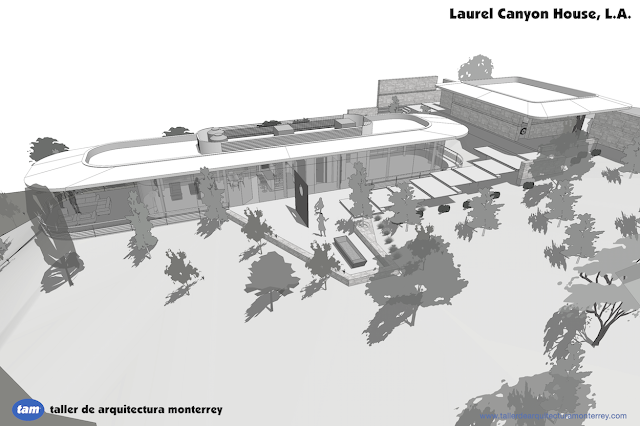 taller de arquitectura monterrey- an architectural research and design firm. We Like Innovation. We have Fun.